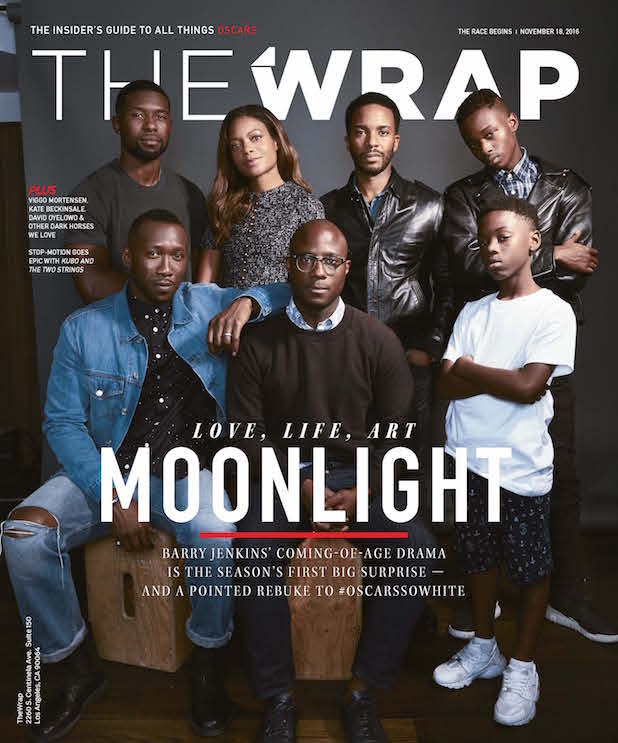 This story about “Kubo and the Two Strings” first appeared in The Race Begins issue of TheWrap’s Oscar magazine. 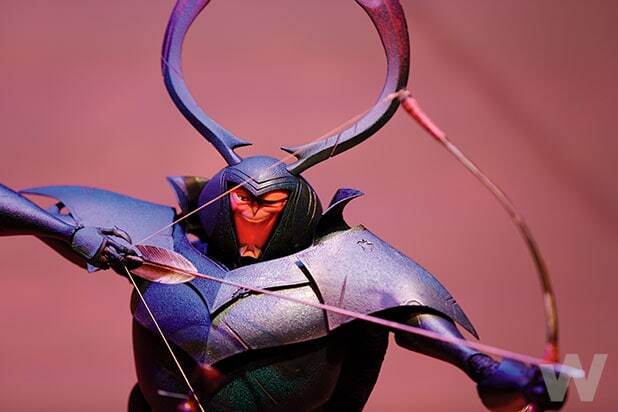 The idea for “Kubo and the Two Strings” was simple, and it was ridiculously hard. 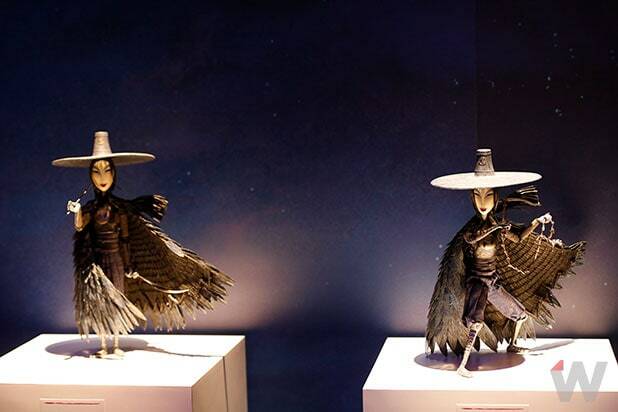 Here, members of the “Kubo and the Two Strings” stop-motion team explain how they did it. 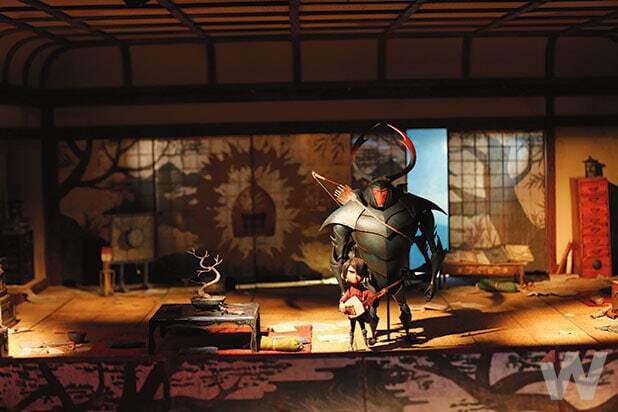 Using that look as a jumping-off place, Laika’s art department — which consists of a model shop, a carpentry shop, a greens department and a parts department — began to experiment with paints and textures, and then to create locations. The schedule is arranged by camera angle, and important sets can be used continuously for more than a year. A Laika team of about 65 builds the maquettes, all of which start with an armature (a model’s skeleton) that allows them to be posed. “For stop motion, it’s all about what’s inside the puppet and how it moves,” said Georgina Haines, creative supervisor of the puppet fabrication team. For the beetle character voiced by Matthew McConaughey, above, the designers used a computer to help them map armature that contained between 30 and 40 different ball-and-socket joints, hinges and swivels (compared to 17 or 18 for human characters). A monkey character voiced by Charlize Theron, above, was a particular challenge because of its fur. “We made her work from the inside out,” said Haines. A body of four-way stretch Lycra surrounds the armature, and that body was covered with silicone combed into fur fabric. Then additional lines of silicon fur were layered on top, “and our hair department foiled each line of fur and combed in a pigment. “There’s a lot of sophisticated engineering that goes on inside a character’s face that the audience never sees,” said Brian McLean, director of rapid prototyping at Laika. 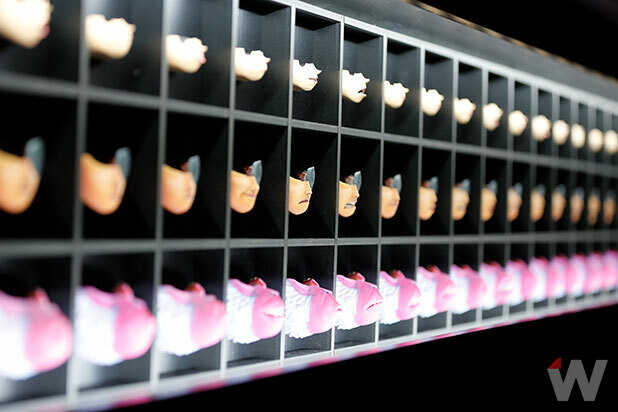 The department designs heads that allow the animators to minutely control facial expressions down to the eyelids — and then they use different techniques to produce facial expressions for all the characters. 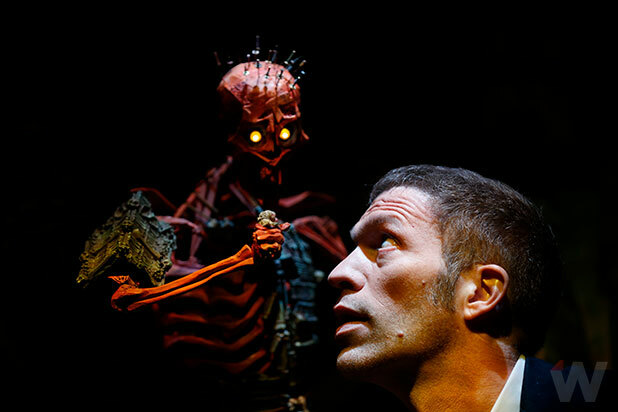 For human characters, they use the same kind of 3D printing with powder paint on plastic that Laika started using on “ParaNorman.” But for Monkey, Beetle and the Moon Monster, three of the key characters in “Kubo and the Two Strings,” they worked with a color plastic printer still in beta testing, writing their own software to allow levels of sophistication never before attempted. 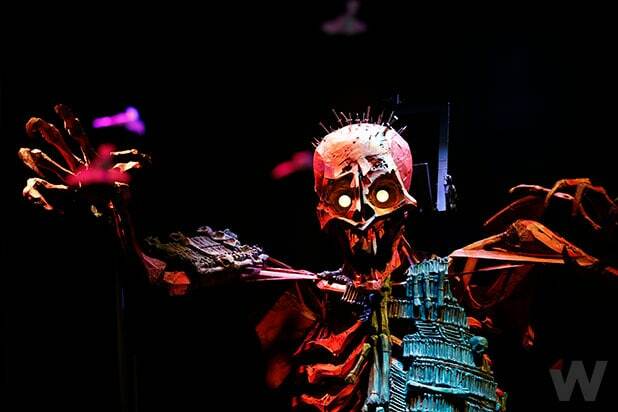 With a 22-foot “wingspan,” this giant skeleton is the biggest figure ever built for a stop-motion production, as well as one of the most complex. 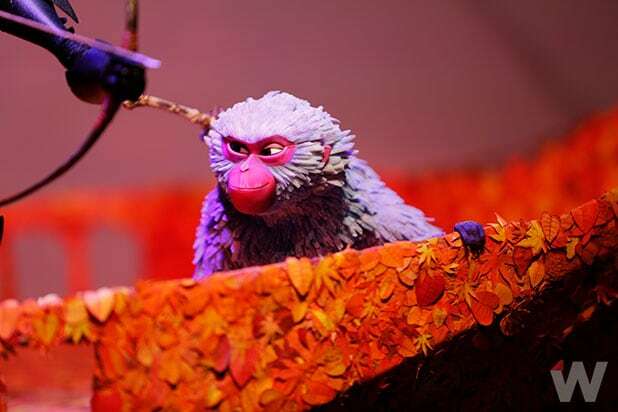 While a 3-foot version was used for many shots, the full-sized version was needed for scenes in which Kubo, Beetle and Monkey are all simultaneously fighting the monster, which sat on one hydraulic rig and had a second rig to control its head movements.